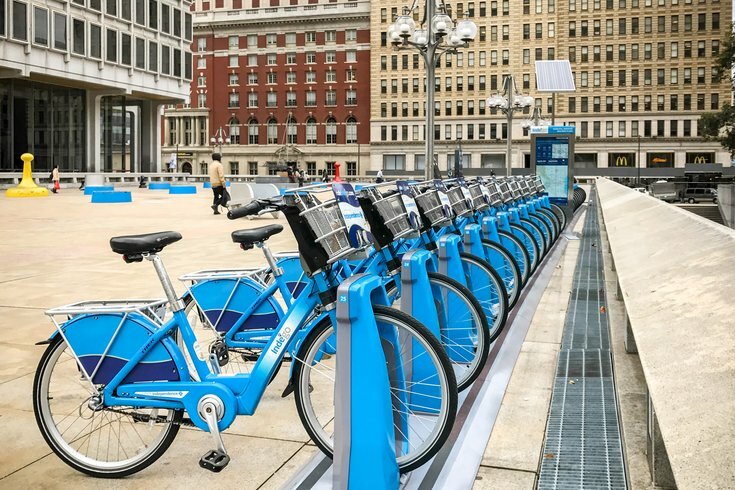 Indego, Philadelphia's bike share, announced the winner of its "Philly to a Milli" raffle that will temporarily change the name of one of the program's stations. The city kicked off the campaign Nov. 1 to help Indego reach a million rides, and the bike share met its goal shortly before 8 p.m. on Nov. 10, far ahead of its estimated Nov. 15 deadline. To help get there, Indego launched a contest that put riders into a raffle, with the winner getting a bike station named after him or her. The more rides a person took, the better their chance of getting picked. Calvin Linton, 49, of Mantua, was announced as the lucky winner on Wednesday. He took 21 rides during the contest. “Indego has impacted my life by me getting out of the house to get a cardiovascular workout in," he said in a news release. The 39th and Mt. Vernon station will be named after Linton in early December. More than 32,000 trips were made during the first 10 days of the contest, according to Indego. The weeklong SEPTA strike, which halted trolleys, buses and the subway systems, also fell during the contest, possibly giving it the extra boost it needed. Indego averaged around 3,600 trips daily while more than 5,000 SEPTA employees hit the picket lines. Indego is owned by the city and sponsored by Independence Blue Cross. The program, which started in 2015 with more than 500 bikes at about 60 stations, has since grown to more than 1,000 bikes at more than 100 stations.